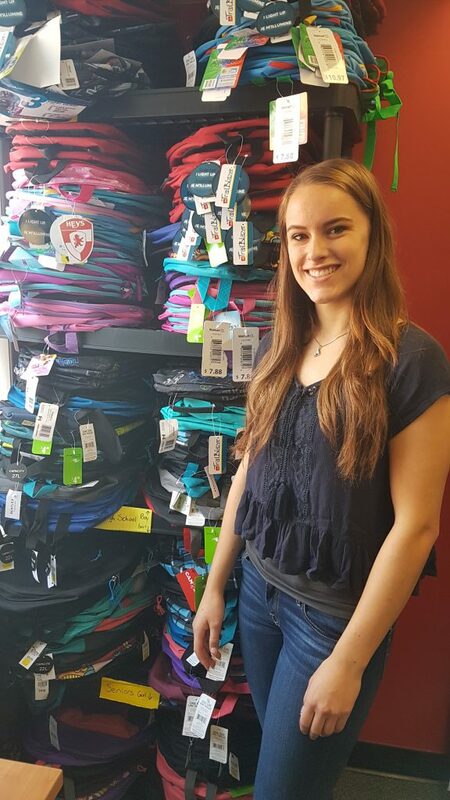 The United Way is excited to announce that Sarah Raynsford has been hired as the 2018 Backpack Program Co-ordinator. A recent graduate of St Mary’s High School Sarah is also a provincial champion figure skater. Packing and distributing such a large number of backpacks requires an extensive amount of supplies to help children in primary school to high school. Among the needed supplies are over 15,000 pencils, 11,000 pens, 2,000 pencil cases, and binders and rulers among many others. Sarah is looking for volunteers, donors and other events and meetings to share the impact of the Backpack Program for children and youth in our community. If you wish to volunteer please call 519-376-1560. If you wish to access the Backpack Program please call 211.